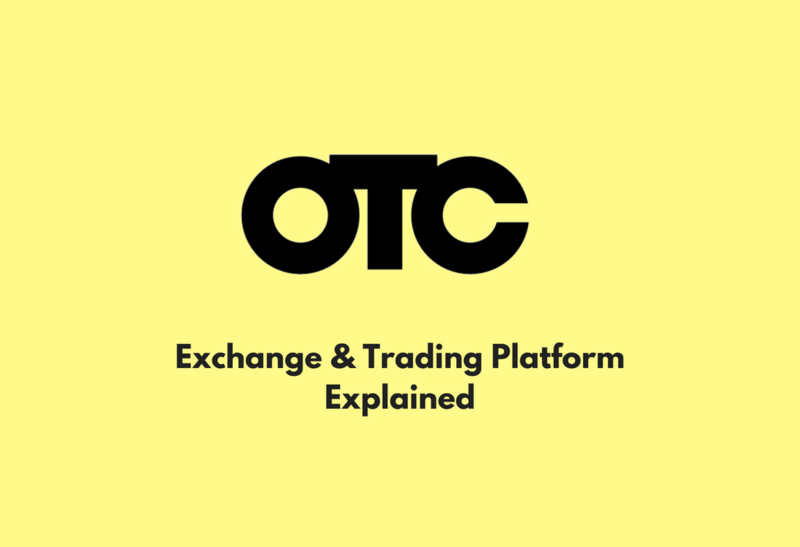 OTC trading is done directly between two parties. An OTC intermediate either activates the trade with liquidity or finds some persons who are willing to take the other end of the trade. With the help of OTC broker, you get a price quoted to you up front and you don’t have to think about order books, liquidity, order book depth, markets moving, exchanges, BTC price change, trades failing and many other inconveniences of trading by yourself. 1. An inter-dealer broker, a firm that acts as an intermediary to match a buyer and seller. An inter-dealer broker is a person who will do the advertisement for a fixed fee or charge to both the buyers and sellers for their matchmaking services. 2. A principal OTC trading company, a company that will act as the direct counterparty and takes on the end to end trading risk. Principal OTC trading company will work on the similar process as an inter-dealer broker. They can predict the value based on market demand and how well they can manage their risk. For example, if you ask to buy or sell the huge amount of BTC, they will analyze available liquidity in the market and calculate their ability on how quickly they could do the transaction themselves. Also, they also add an additional profit (service fees) for their trading risk. While this looks like the principle that, cryptocurrency OTC trading is really opaque. This is something different than the traditional bitcoin exchange. On a centralized exchange, you can see all the buy-and-sell orders in the order book. You can see who buy or sells your bitcoin with the transaction data. But, when you’re trading OTC, you don’t necessarily know what the market looks like or don’t know how OTC broker is charging. Bitcoin OTC trading provides anonymous data and price instability, but it’s not that this kind of trading is cheap. How does an OTC trader make money? They follow simple technique as we can call it Zero sum game. They buy the bitcoins at the low price and sell them at the high price. The network they have built with the financial investors makes their OTC trading often possible. This is helpful for institutional investors who are ready to buy cryptocurrency at large numbers. The OTC traders target this type of investors and rotate their wings towards the OTC trading as much as possible. Are OTC markets are really safe? If you go blindly into the OTC trading, you can end up with the loss of your crypto assets even worse than you would if you sold on an exchange. But at the same time, if you don’t know how the OTC mechanism works, OTC brokers can help and will profit off you. The brokers can assist you from scratch to sell or buy your crypto assets in the safer way. So it’s better to hand over the job to the brokers. According to the data and statistics, industry insiders estimate that OTC traders usually charge between 2% and 4%, the percentage of service charge may vary depending upon the amount of crypto and countries. How popular is OTC exchange & trading platform? Calculating the amount of OTC trading on the cryptocurrency is such a complex thing as the market is still opaque and traders, buyers are not being audited officially. However, there are increasing numbers of OTC trades and exchange platforms are happening in the market. Many crypto businessmen are keen to start an OTC exchange for yielding maximum revenue in the short period. It is evident that the large scales trades are happening outside of the exchanges and it merely hooks the eyes of the startups. If you have still questions to ask, contact sellbitbuy. In this article, we have shed some important points on what is OTC and how the platform works. Leave us your feedback in the comments below.